Congratulations! 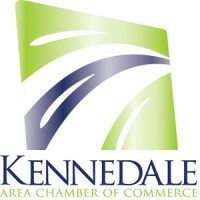 Membership in the Kennedale Area Chamber of Commerce is not only going to be great fun, but we hope it’s going to be one of the best decisions you’ll make for your company! Through building community ties, networking with other area business leaders, and educating yourself on current events and a wide range of business practices, we’ve got great benefits to any company, large or small, and we look forward to working with you to bring out your best! Submit the form below to start the application process, continue reading for more details about the exciting benefits you’ll be enjoying very soon!